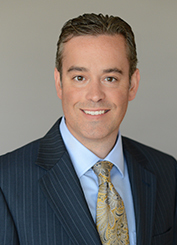 Jason Capitani is a Principal and Executive Vice President of L. Mason Capitani CORFAC International, as well as a Principal of the firm’s property management arm, Liberty Property & Asset Management. As a member of the Executive Management Team, he helps direct all aspects of brokerage and property management services, with an emphasis on the day-to-day activities of its Industrial Properties Division, which was established in 1965. In addition to these managerial responsibilities, Capitani specializes in industrial and hi-tech real estate brokerage throughout Southeast Michigan. Licensed in 1992, he has consummated in excess of $600 million in sale and lease transactions throughout his career. Capitani has been a Certified Commercial Investment Member (CCIM) since 2001. He was also inducted into the prestigious Society of Industrial and Office Realtors (SIOR) in 2003. As a member of the Board of Directors for the Michigan Chapter of SIOR from 2008 – 2012, he had the honor of serving as President in 2012. Capitani is a graduate of the University of Wisconsin-Madison.